Last October, a group of seventeen commons activists from throughout Asia – India, China, the Philippines, Indonesia, New Zealand and other countries – met in Bangkok to have a wide-ranging discussion about the future of the commons, especially in fighting neoliberal economics and policy. The primary goal was to discuss economics and the commons from an on-the-ground perspective, and to help identify promising avenues for future research, writing and political action. This was the second of three “Deep Dive” workshops that the Commons Strategies Group co-hosted with the Heinrich Böll Foundation in the fall of 2012. (The others were in Mexico City and Pointoise, France, near Paris. Here is the report from the European Deep Dive, and here is my previous blog post on it.) A big thanks to Jost Pachaly and his staff at the Böll Foundation in Bangkok for hosting this event! Participants in the Asian Deep Dive on Economics and the Commons, October 2012. Because there were so many interesting insights that flowed from those discussions, I have decided to excerpt below some of the more interesting portions of the report that I prepared following the workshop. If you wish to read the full report – a 15-page pdf document – you can download it here. The significant factor about the “living sector” is that it is capable of zero marginal costs in production because of the self-reproductive capacity of living things. As humans interact with nature, they can alter and improve the “programming” of living things, cultivating a framework of abundance that conventional economics simply cannot understand. The logic of natural abundance is well illustrated by the System for Rice Intensification (SRI), a kind of “open source agricultural innovation” project that Verzola has been involved with for years. Thousands of farmers from fifty different countries participate in SRI by collaborating via the Internet to discuss how to improve the yields of natural rice seeds (i.e., shareable seeds, not GMOs or hybrids). These self-directed grassroots collaborations have improved rice yields as much as five times over conventional levels without the use of synthetic fertilizers, pesticides or GMOs. The challenge with systems of abundance (in nature or in information commons) is finding ways to make the abundance last and be made universally available (as opposed to being privately controlled for private profit). Economists tend to focus on efficiency and how to maximize gain, said Verzola, but engineers are more concerned with reliability, i.e., how to avert failure. For people who work with abundant resources, the primary focus should similarly be how to minimize the risk of failure. The precautionary principle is one expression of this impulse, but the larger need is to develop intellectual analyses and legal forms that can protect abundance. This is a very difficult challenge, however, when the entire capitalist economy is systemically dedicated to engineering scarcity and destroying natural abundance (in order to create markets and predictable profit streams). The “Western cartography” of boundaries and relationships. Part of our problem, said Hendro Sangkoyo, the cofounder and principal researcher at the School of Democratic Economics in Indonesia, is that our language “establishes artificial boundaries for talking about scale.” This creates a “western cartography” of solutions that can be highly misleading. This “cartography” and its boundaries are held in place by corporations and investors in order to maintain existing international distributions of labor and thus fuel economic expansion on a global scale, he said. The economic system is in the business of commodifying people and their outlooks and values – in essence, converting people from commoners into employees and consumers. In Bali, Indonesia, by contrast, “the idea of line boundaries are totally missing,” said Sangkoyo. The functional reality [of production relations among people] more closely resembles permeable cell membranes than rigid, clear boundaries. One group of people who can combat this tendency to commodify people is women, it was pointed out. Women tend to be “repositories of social meaning” and thus are more likely to recognize and protect enduring value. In his School of Democracy and Economics, Sangkoyo said he sometimes asks people “Are you $20,000 healthier today?” just to help them realize that an alien “topology of meaning” is being imposed on people. The answers invalidate the very premises of the question. Finding ways to call into question the market system of meaning is important because our very notions of time are being erased by economic growth and technological change. For example, it now takes 179 years to re-forest certain native forests in Indonesia, if they can be re-forested at all, Sangkoyo said. The relationship between humanity and nature needs to be re-established, and a deeper sense of space and time needs to find socio-ecological expression. Human beings are not separate from nature; they are in nature. 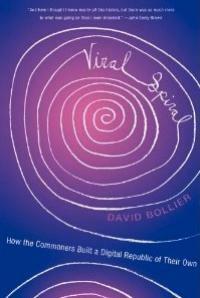 The relationship between markets and commons. The expansion of markets often has a paradoxical effect: as the commodification of grasslands increases, through enclosures, the availability of grass for cattle-grazing actually decreases. This in turn forces many commoners to sell off their cattle because there is not enough grass. In this way enclosures create scarcity where there was none before, accelerating the cycle of enclosure. Stepping outside of the framework of mainstream economics helps us see other realities as well. An often-overlooked fact is that the capitalist economy imposes a massive “socio-ecological footprint” that can only be maintained through violence. The acquisition of raw materials for markets tends to require military or extra-legal coercion, or at least the threat of it. Capitalism remains so powerful, said José Ramos of Peer Productions in Australia, because it enables enfranchisement in a socially abstract way (through money). It also enables a pooling capacity of wealth and a continuous unfolding of scale and scale-efficiencies. These are some of the key pillars of its strength. Our challenge is to create alternative transnational systems of exchange for social benefit that also have the capacity for scale, efficiency and fluidity. 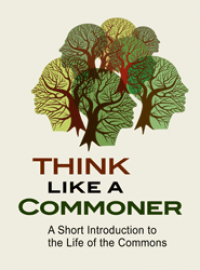 On the State and the commons. There was basic agreement that we need a pluralism of new types of governance outside of the direct control of the state. Hendro Sangkoyo set the tone of discussion by saying that “we mystify the state” by setting it apart. “But the State cannot elude the social mechanisms of governance,” he said. In reality, all sorts of churches, community organizations act like a state already. He recommended a book, Seeing Like a State: How Certain Schemes to Improve the Human Condition Have Failed, by James Scott. Sangkoyo also noted that “everyone must have the right to assert their own space/time” – a capacity that the commons enables, but which the state and market threatens. Soma Parthasarathy, a Research Scholar at the Indian Institute of Technology, noted that interactions with the state often mean an abridgement of customary law by new state laws. Some customary laws are negotiable, but others are not. For women in particular, the commons is a space in which they can speak and negotiate for their interests. The state must not be allowed to shrink such spaces. There is new legislation in India, the Forest Rights Act, which was drafted in part by indigenous peoples. 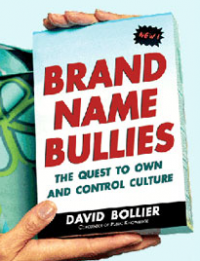 It addresses the traditional rights of communities and defines state authority and control over them. Clearly, commoners themselves must force this dialogue upon the state. Prue Taylor, Senior Lecturer at the School of Architecture and Planning at the University of Auckland, New Zealand, described how indigenous people in New Zealand have asserted their right to co-governance of water with the state. This has forced a conversation about what a commons/public “partnership” really means. Similarly, the Transition Town movement and self-styled urban commoners are validating their own self-organized governance, in effect demanding that the state stand back and admit the limitations of its social legitimacy and competence. 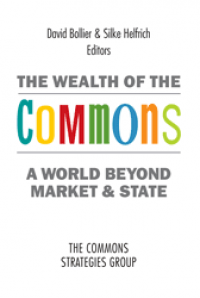 A basic problem, said Robert Verzola, is that the commons lacks a legal personality. 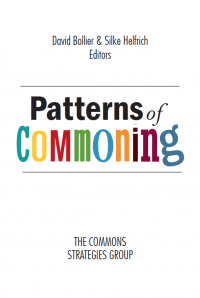 There is generally no legal code for commons. In the Philippines, there is the legal category of “ancestral domain” which recognizes the prior rights of indigenous peoples before white settlement. 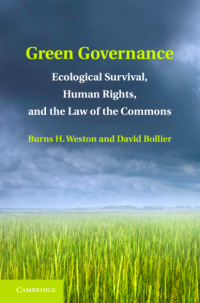 And there are other legal mechanisms that have been invented or adapted to protect commons, such as conservation land trusts and the General Public License (GPL) for software, a license based on copyright ownership. What we really need, said Verzola, is some “model commons code” like a corporate code.